يقع فندق منتجع أروبا بيتش في منطقة تتمتع بمعالم كثيرة، وتعتبر المكان الأنسب لاكتشاف هذه المدينة رائعة الجمال و ما يحيطها. يجذب هذا الفندق ذو 3.5 نجوم، والذي يبعد 3Km فقط عن وسط المدينة و 20m.Km عن المطار، الكثير من الزوار سنوياً. يضفي محيط الفندق اللطيف وقربه من أكثر المعالم السياحية جذبًا سحرًا خاصًا على هذا الفندق. استمتع بالخدمات الراقية والضيافة التي لا مثيل لها بهذا الفندق في هذه المدينة رائعة الجمال. لضمان راحة ضيوفه، يقدم الفندق الخدمات التالية: واي فاي مجاني في جميع الغرف, خدمة سيارات الأجرة, خدمة حجز التذاكر, تسجيل وصول/مغادرة سريع, تخزين الأمتعة . في منتجع أروبا بيتش غرف نوم يزيد عددها عن 32 صممت بذوق وعناية لتوفر لك كل وسائل الراحة . بعضها يحتوي أيضاً على مرحاض إضافي, غرفة معيشة منفصلة, تلفزيون بشاشة مسطحة, حمام إضافي, مروحة. يقدم الفندق مجموعة رائعة من الخدمات كمثل جاكوزي, مسار جولف - ضمن 3 كم, مسبح خارجي, سبا, حديقة، لجعل إقامتك تجربة لا تنسى. اكتشف مزيجاً ساحراً من الخدمة الاحترافية والخيارات الواسعة من وسائل الراحة والمتعة في منتجع أروبا بيتش. هذا العقار ليس لديه مكتب استقبال على مدار الساعة. يجب على النزلاء الذين سيصلون بعد الساعة 02:00 ظهرًا أن يتصلوا بالعقار مباشرةً قبيل وصولهم؛ حتى يتسنى عمل ترتيبات بديلة. We had a party of 3 couples and booked 3 one bedroom units. We were put on the same level in the same block, next to each other and only one set of stairs. Thank you to the management. Staff friendly and polite. 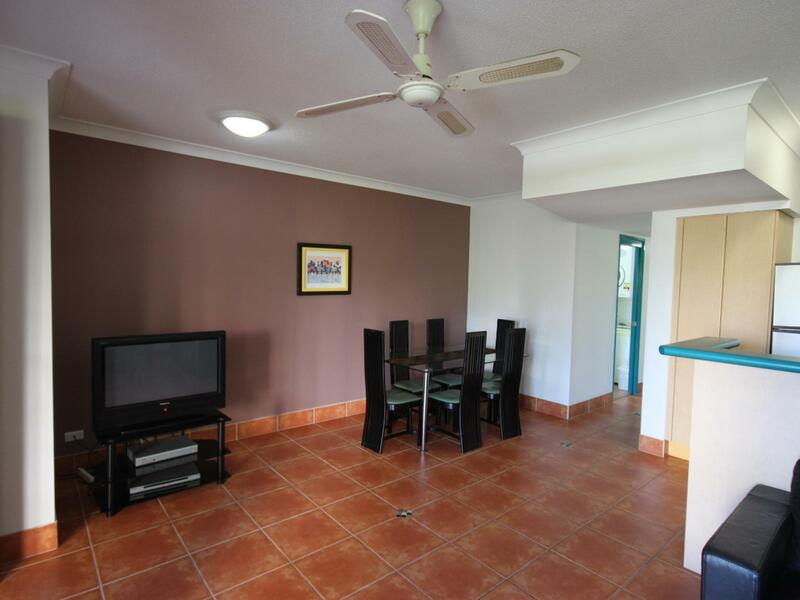 The location of these apartments are ideal for walking to main centre of Broadbeach and surrounds. The gardens are kept very tidy. The units themselves are spacious and very practical. A kitchenette, Washing machine and dryer if needed. They were clean, except the carpet could of done with a shampoo to freshen up. Unfortunately the weather was inclement and we did not get to use any of the outdoor facilities, but the pool area looked great. Undercover parking was very handy. We will book again next visit. Thank you Aruba Beach Resort. Quiet, stones throw to restaurants n shopping. Short stroll to beach. Very clean. Well equipped kitchen. New washer dryer. Nice pool. We enjoyed Arubra Sands. quiet clean close to shopping brach RESTAURANTS. Jupiters 15min walk via walkway from convention cntr. Staff friendly n helpful. Free 1.5g wireless. Foxtel. Lounge somewhat uncomfort n knives need sharpening. Bedding very comfortable. The one room apartment is bigger than I thought. It is nice and comfortable with its own spa and large balcony ! Everything you need is basically provided and even with washing machine ! It is the best value apartment I ever get ! And it is in Gold Coast! Such a tourist place and have your own one room apartment with this money ! It is very convenient as the bus stop can go to every theme park is just right in front of the hotel. Besides, 3 min to g link and 5 min to beach ! One thing that is not very good is that the smoke alarm is too sensitive, make sure when you cook open the door to the balcony. People in the reception are very nice. I think I will go there again! We stayed a day early and they happily accommodated us stayed an extra day again no problems. Unit was adequate for the amount we paid. We thought your kiwi receptionist was wonderful very friendly and helpful. Location was perfect easy to get to all areas of coast. Right in the heart of Broadbeach lots of great restaurants around to choose from. Would definitely consider staying again. This place worked really well for me. The room was comfortable and I appreciated having the plates, cutlery, microwave, kettle and toaster so I was able to prepare most of my meals there. 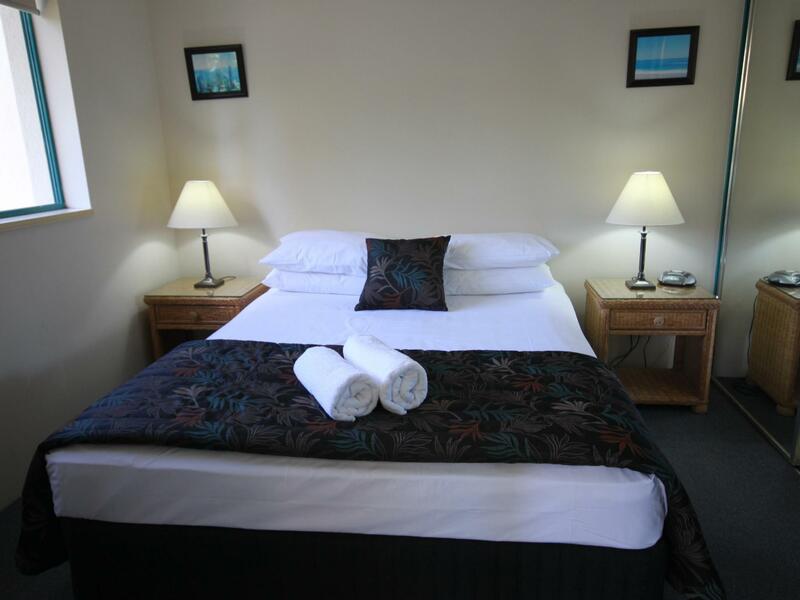 The location was excellent with an easy walk to the beach, to the Oasis Mall with a Woolworths and to the G:link Tram. I would certainly stay here again. I was in town for a conference at the Gold Coast Convention Centre, and you can't fault the proximity! It's right across the road! The restaurants and parks around are fantastic, and the beach is a stones throw away. 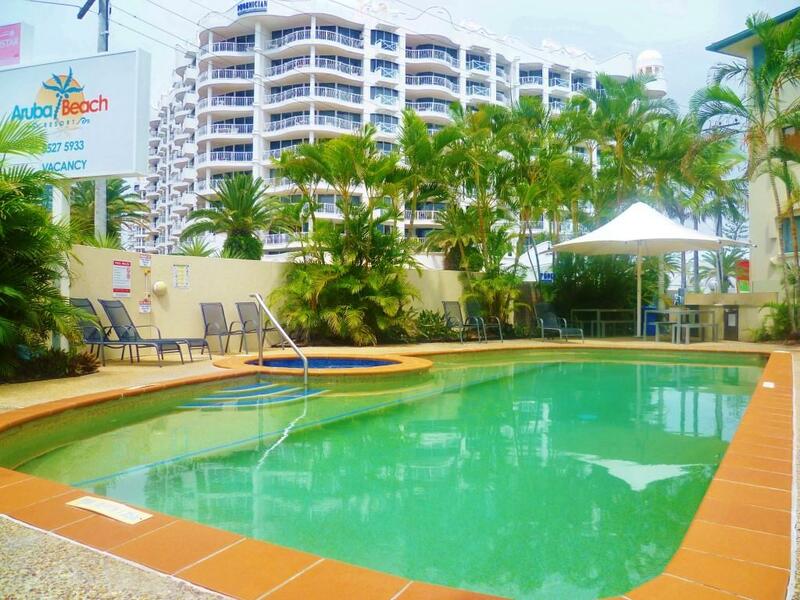 It's one of the best located hotels in Broadbeach! The unit itself is rather dated, however it is very large and there's no shortage of space. 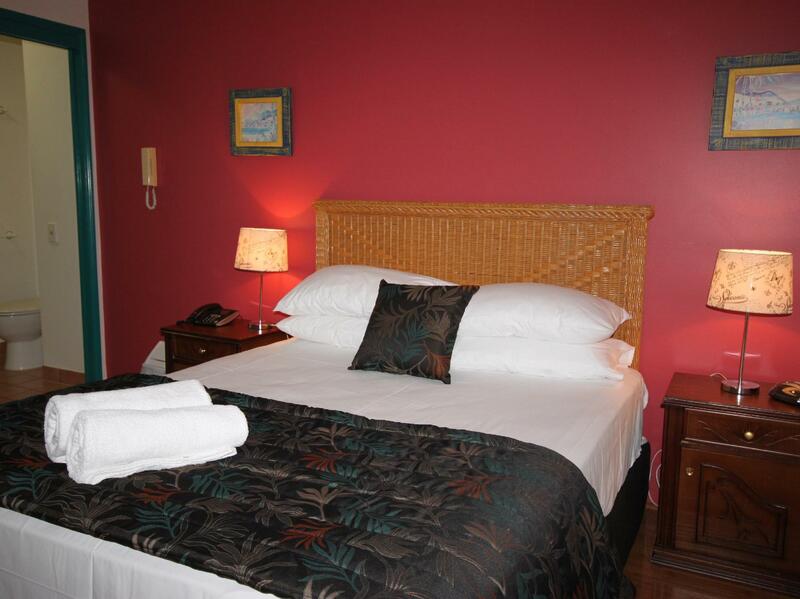 The bed was comfortable, and the overall presentation of the apartment was clean. It would have been nice to have a TV in the bedroom. There was one in the lounge room, though. For a short stay, it works a treat! Will stay there again. Having never stayed in Broadbeach I was hoping I'd made the right decision for my family. Firstly the apartments are exactly as advertised. The two bedroom apartments were large enough with bedrooms at opposite ends. Kitchen and lounge facilities were good. There's a small bathroom with laundry facilities and separate toilet. The pool area looked lovely but due to time restrictions I didn't get to try the pool and spa. It's close to everything and the food options in Broadbeach are amazing. The only negative is that the bathrooms smelt of toilet at times. We reported this and I'm hoping they address that one issue. My family of 6 adults and 3 children would definitely stay again and I'm currently planning our next stay. Both the Aruba and Broadbeach itself are well worth a visit. Checked in and as with most hotels they asked for cc against potential damages ..They took authority for 200aud and it took 6 days to be recredited back to my account. I attempted to put the TV on to watch the news.. unfortunately it wouldn’t turn on. Went to reception and explained but I received a blunt reply from reception that the TV was working.. 5 minutes later the very surly manageress came to my apartment and before checking the TV told me it was working prior to her checking.. Bingo the battery was flat in the remote control! Not the hotels fault but it was adjacent to a major building development that meant a 6am compulsory wake up! The kitchen and the utensils were not clean. The apartment was generally unclean. You are required to pay for additional toilet paper and clean towels. There are many better options at Broadbeach! 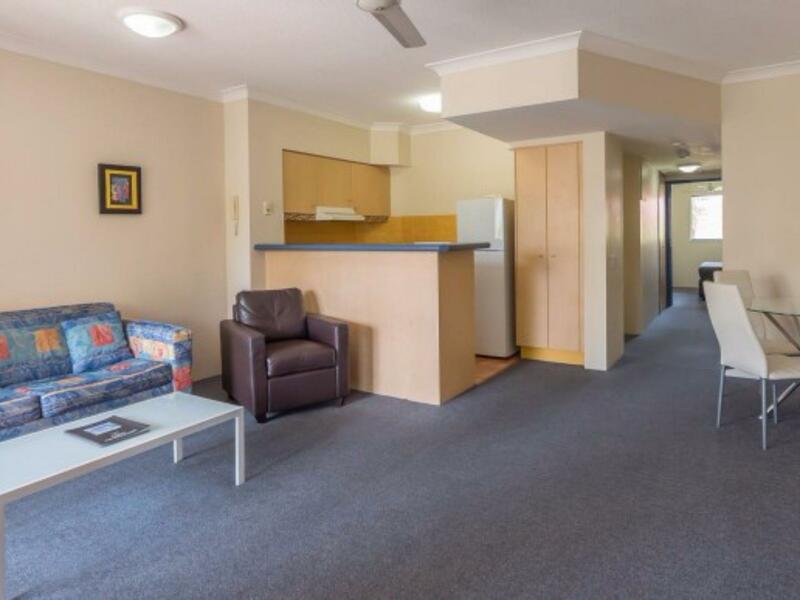 Very handy position near good Restaurants and Oasis Shipping Centre. Very quiet at night time as well. Pool and Spa are very good as well. I hope this place does not get developed into a multi-storey building, as it is nice the way it is. This unit we had was not anything like its photos. Our verandah looked straight into neighbours lounge. It was dirty, mould in shower, thick scum in dishwasher, rusted out dishrack, the most uncomfortable bed, so much so we went out and bought an air mattress for the 2nd, 3rd and 4th night. Couch felt filthy and in need of a good professional clean. We ended up eating out each night as there was no way I was eating of their crockery. Very small T.V. It was the worst accommodation we have stayed in. I took photos to back my complaints too. But seriously to be still waiting for 200 dollar deposit back is just robbery. Very very disappointed. Room x1 not cleaned from previous guest. 'Dirty'mattress protector on bed, used towels on floor, toilet obviously used, carpet filthy. Room x2 & 3 also not cleaned. Finally a room made up but wi fi said I had used my data when I had only just tried to log on. Tried to boil the jug but it leaked through the power outlet when I added water, reception gentleman not interested, didn't care but replace with 'el cheapo' jug at least. Would NEVER return to Agoda. Very convenient location to bar, restaurant, woolworth, bank and late night mc'donald and kebab. If you are independent and looking for a quiet and peaceful holiday, this is the right place and value for money. Super convenience and few mins walk to bars and restaurant, public transport just 2 mins walk and Woolworth, Mc'd, Banks just less than 5 mins walk. It was the worst value hotel within our 2 weeks trip in Aus. The studio and the bed were small n uncomfy w afternoon sun shining thru windows. It’s not hotel service! We had to clean the room and take garbage out ourselves....certainly not worth 100USD. I spent the weekend 2N/3D for the WBFF (Fitness Show) to be held in the Jupiters Casino, within 3min driving; for me was more than good ;-) Just right next to the resort location, there’s a several food options Cafes (Starbucks, TheCoffeeClub, etc),Restaurants ( Sage, Koi, Moose, etc), Ice Creams, convenience stores; among others. And just 5-10min driving from Surfers Paradise. We’ll definetly are going to book this resort in the future. Best Regards, Bernie&Gio.! I needed a place close to the Gold Coast Convention centre that wasn't too expensive for the duration of a conference and Aruba Beach Resort fitted the bill. It is just a bit weird that they only supply one roll of toilet paper no matter how long you stay.